Colosseo hotel is located in the city of Shkoder, in a pedestrian area surrounded with houses, bars, restaurants, and night clubs. Built in the shape of the ancient miracle of architecture (as its name suggests), Colosseo hotel offers a wonderful combination of high standards, central location and the traditional Albanian hospitality. 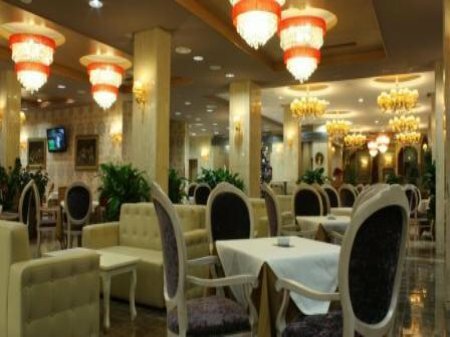 Here you can relax in a quiet and comfort ambiance and enjoy excellent quality food and service. A fitness center, an indoor swimming pool, massage facilities and a sauna are at guests‘ disposal free of charge. Rooms and suites at the Colosseo are air-conditioned and feature an LCD TV with satellite channels, a desk, a minibar and a safe. Some rooms feature a balcony. The hotel lobby provides free Wi-Fi access and parking in front of the hotel is free for all guests.